Nikka Whisky’s first distillery and guardian of their tradition, Yoichi is located on the coast of Hokkaido, the northernmost island of Japan. 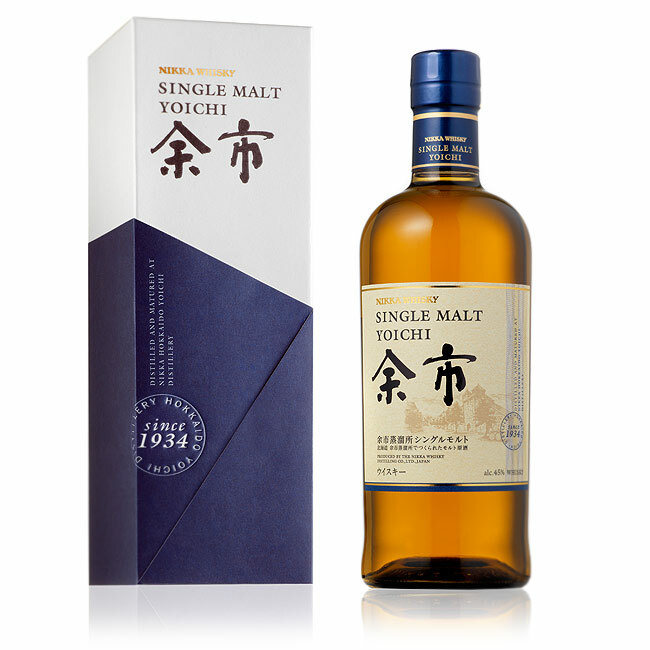 Crafted using methods from the past, such as direct coal heating, the Yoichi single malt truly captures the authentic character of its exceptional location, with its refined coastal and peat notes. A subtle blend of Yoichi casks of various ages, of which a large portion was matured in ex-sherry casks, the perfect representative of Nikka’s historic single malt expresses a delicate balance between smoky, fruity and floral aromas. full-bodied, smooth. A mellow peat softly coats the aromatic palette at first, growing more powerful with time, as smoke, soot and salty notes transcend the initial nose. The aromas then evolve towards candied citrus fruit (lemon, orange), black liquorice and spices (nutmeg, ginger), and opens up with roots and dried twig aromas. Heady and floral (carnation, iris), it grows increasingly complex. firm, powerful. A well-balanced attack gives equal footing to aromas of peat, smoke, spices, fresh fruit (melon, kiwi) and nuts (almond, walnut), which it delivers in spades. The mid-palate starts off with chocolate notes, but the peat soon takes the lead once again. long, silky. Extremely mature, it overflows with ripe fruit (pear, Mirabelle plum, apple). The peat starts taking on an herbaceous and malty character, while the salty flavours gives the finish plenty of depth and coastal freshness. The final nose offers menthol, spicy (coriander, dill) and earthy (leather, chestnuts) notes.